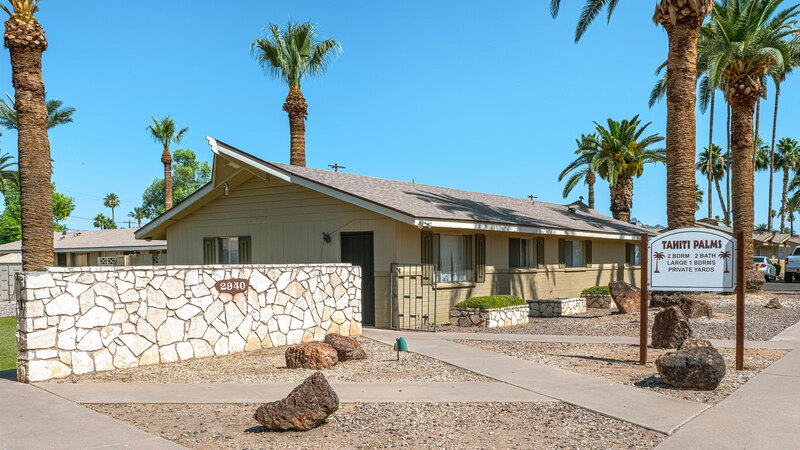 Phoenix, AZ – November 30, 2017 – ABI Multifamily, the Western US's leading multifamily brokerage and advisory services firm, is pleased to announce the $2,815,000 / $104,259 Per Unit sale of the Tahiti Palms Apartments located in Phoenix, AZ. The property is a one-story, garden-style apartment community built in 1963 of masonry construction with pitched roofs and rests on 1.89 acres. The property boasts an attractive unit mix of 10 – 1 bedroom, 2 – 2 bedroom/1.5 bath, 14 – 2 bedroom/2 bath, and 1 – 3 bedroom unit types with a weighted average size of 843 square feet. Each unit is individually metered for electricity and 12 of the 27 units include in-suite washer and dryers. Located at 40th Street and Thomas Road, Tahiti Palms is a quiet, friendly community in close proximity to Phoenix's Camelback Corridor, which combines quality office space with trending restaurants and high-end retail establishments and offers plenty of opportunity for work and play. Along with convenient access to Route 51 and Sky Harbor Airport, this property's location is on track for continued growth and revitalization. "The Seller made select exterior improvements proving the validity of a full value add strategy for the property," states Ryan Smith, Vice Presidents at ABI, who represented the Seller and Buyer in the transaction. "The Buyer saw the value in the very unique layout and footprint of the property, as well as, the Arcadia submarket location. The Buyer intends to reposition the property to compete with the on-going demand for more affordable B class housing." The Buyer is a private investment company based in California. The Seller is a private owner based in California. The multifamily brokerage team of Ryan Smith, John Kobierowski, Rue Bax, Alon Shnitzer, Eddie Chang, and Doug Lazovick represented both the Buyer and Seller in this transaction.